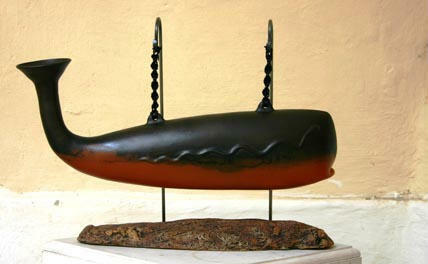 Studio Ceramics was established in 1991 by Efthymios and Ingela Symeou in Larnaca. The workshop-gallery is situated in the old part of Larnaka, at 18, Akdeniz Street, 6306 Larnaca, Cyprus - Telephone +357-24650338. Discover our recent work here or come and visit our workshop in Larnaca. We specialise in Museum Replicas of the prehistoric and ancient world of Cyprus as well as medieval glazed pottery using the scraffito technique of the byzantine tradition for modelling collectors’ items. If you are visiting Cyprus, looking for an original gift or some awesome decoration for your place, adsds an authentic flavor from Cyprus. Personal pottery work by Efthemios Symeou. All pieces are unique. Handmade Pottery items for every occasion. Personalized gifts and giveaways for weddings and christenings everything's fully produced in our workshop in Larnaca. 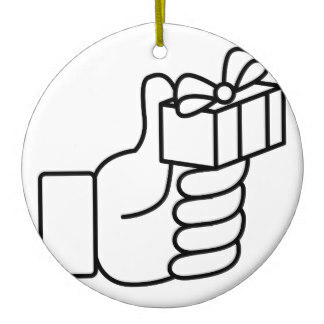 We provide special made pottery items for corporate giveaways for every occasion. 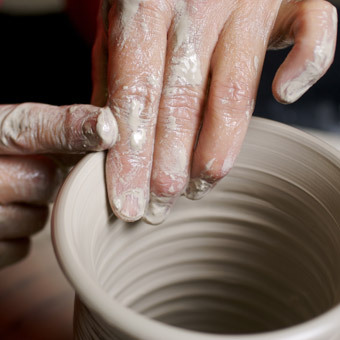 Interested in going further and learn the secrets of making outstanding pottery? Join one of our pottery classes. Through our close cooperation with Cypriot museums, we specialise in producing replicas of the prehistoric and ancient world of Cyprus as well as medieval glazed pottery using the scraffito technique of the byzantine tradition for modelling collectors’ items.